How Does a Linear Induction Motor Work? 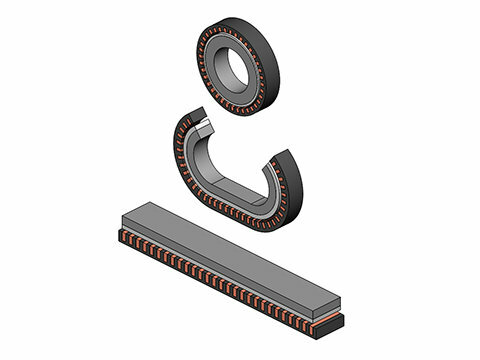 Linear induction motor (LIM) theory is most easily understood as a rotary motor that has been cut and unrolled to generate linear motion, instead of rotary motion. It is comprised of two parts, the primary and secondary, which interact with one another only when power is applied. Either the primary or the secondary can be fixed while the other moves. 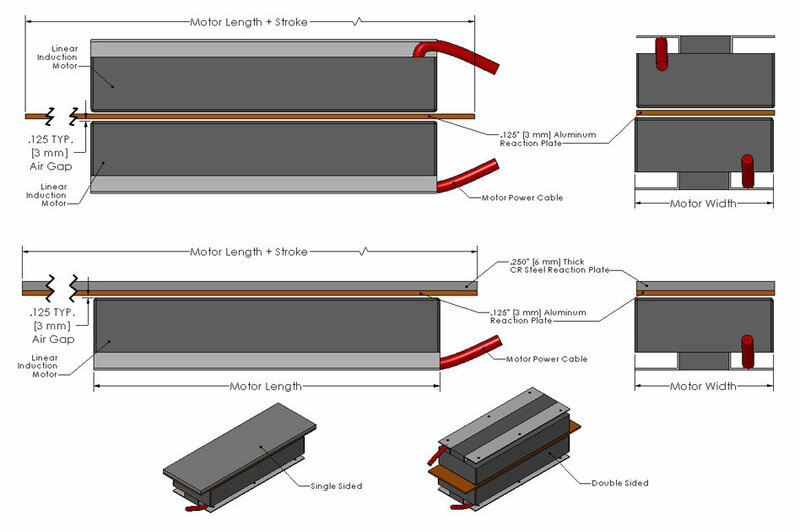 Linear induction motors can be manufactured in a wide range of force outputs, speeds, and footprints. For single-sided assemblies, the reaction plate consists of 1/8" thick aluminum backed by a 1/4" thick steel plate, and for double-sided assemblies the reaction plate is 1/8” thick aluminum or copper only. If the reaction plate is round and it has a center shaft with rotary bearings, the system will produce rotary motion. .